Brew days on someone else's system are always fun. I met Noah and Alex at a NOVA HomeBrew club meeting a few weeks back when I went to pickup my share of a bulk grain buy. Noah has a very nice keggle HERMS system, way more advanced than my little stove top setup. Water is heated with electric elements in the keggle and cooler (right), this hot water is pumped through the outside of the copper counterflow chiller (middle) and back into the tanks. At the same time wort from the mash tun (left) is pumped through the pipe in the center of the chiller in the opposite direction and returned to the top of the mash tun. A temperature sensor allows Noah to dial in the mash rest temperature. The recipe we brewed was a joint effort inspired by The Lost Abbey's 10 Commandments (formerly Pizza Port SPF 8). The grain bill is mostly pilsener, with some caramel malts for flavor, and Carafa Special II for color without too much roasted flavor. The saccharification rest was a few degrees higher than I would do on my system because Noah's system takes 15 minutes to go from the protein rest to the target saccharification rest, giving the beer time in the lower end of the saccharification range. For hops, we used a couple ounces of Amarillo pellets as a first wort hop addition. Amarillo has some pine and citrus characteristics that should compliment the spicing and yeast. We decided to skip any late boil additions in favor of letting the yeast and spices provide the aromatics. 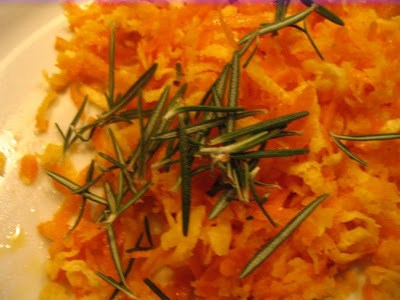 We spiced the beer with a combination of orange and rosemary. For the orange we zested two Valencia oranges. Rosemary is very potent, so we used the leaves off of just one sprig for 11 gallons of beer. Both were added at flameout to protect as much of their aromatics as possible. We also blackened a pound of Thompson seedless raisins in a pan. Once they had taken on some color we deglazed with the final runnings which we had been boiling down for an hour. 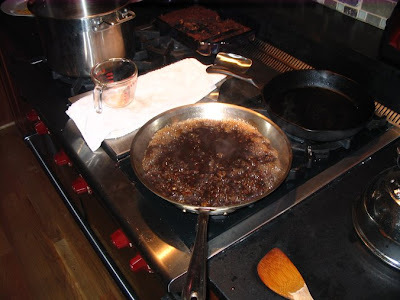 We used a stick blender to puree the raisins and wort, the puree was added at flame out along with the spices. Alex and I are each fermenting 4 gallons of the batch with Wyeast's VSS Biere de Garde strain (supposedly from Fantome). In addition Alex is fermenting 3 gallons that also got the dregs from a couple sour beers along with the Biere de Garde strain (hoping it will be ready in 6-9 months). Vienna VA well water, which Noah told us is similar to Pilsen. 2 Valencia oranges zested, 1 sprig of fresh rosemary. Seedless Thompson raisins blackened in a skillet until they took some color then deglazed with the final runnings, which we had been reducing for an hour. Divided three ways, aerated all three with pure O2. Pitched yeast cake from one of Noah's beer into all three. One got dregs from Alex's Berliner Weisse (Wyeast Blend), Temptation Clone (RR Chips), and my Mo Betta Brett Clone 2 (Brett A). In secondary the funky version also received about .5 oz of medium toast French oak that I soaked in port for a couple weeks. Big krausen by 24 hours at ~75 room temp. After another 24 hours I gave it some heat with the heating pad set to low to get the temperature up a bit (wort temp around 84). 10/18/08 Down to 1.010 (86% AA, 8.2% ABV), pretty good for 1 week. The krausen has fallen, but it still looks cloudy so the yeast may still drop it another few points. 10/19/08 Transferred to secondary, 3 gallons straight, ~7/8 gallon dry hopped with .5 oz of Amarillo. 11/02/08 Bottled the plain batch with 2.5 oz of white sugar (2.5 volumes CO2), and the dry hopped batch with 7/8 oz of sugar (3 volumes CO2). Both taste good, slightly resiny, with a toasty malt backbone. 2/08/09 Finally took a FG reading... 1.003 (96% AA, 9.1% ABV). It doesn't taste infected, so that is one heck of an aggressive strain. Very interesting, I've been toying with making an all rosemary beer for a while and haven't gotten around to it though I have made an all sage beer. Have you used rosemary before in a beer? Nope, this is my frist brew with rosemary. I am really interested to see how well it comes through. I tried La Meule from BFM which is a Belgian Pale with sage that was pretty tasty. How did the sage work for you? How much did you add? I made a small 2 gallon batch and I used what turned out to have been WAY too much sage for that volume 1 1/2 oz of fresh sage. It tasted a bit like alcoholic steak sauce, which sounds worse than it was (this was probably compounded by the fact that it was made with "leftovers" including about 1/2 lb of dark crystal malt). It would have been better if it had properly carbonated. Originally I blamed this on the sage but now I think it was error on my part. Well, lesson learned and it's good for cooking at any rate. I will try sage again some time just in more moderate amounts and in conjunction with other brewing herbs. Dark Orange-Rosemary Christmas Seasonale: 10 gal. First time kegging and including special ingredients... we get a solid 7.5 out of 10!!! Sounds tasty, glad it came out well. I find the orange dies down pretty quickly, so give it a few weeks and it might have a better balance. oh here is that brewer...the Marzen was great...the Hefe was not so great. I am making something along these lines and would like to get some funk flavors going on. I have several bottles of wild beers in my cellar, but they have all been aging for several years. Are those dregs going to have enough life left in the to impact the flavor of my brew? The fresher the better. I'd suggest getting a few that were bottled more recently. You can always pitch the old stuff now, then add more as it ages. Just brewed another version of this one last weekend with the same guys. A bit heavier on the dark malt and with black cardamom instead of the rosemary. 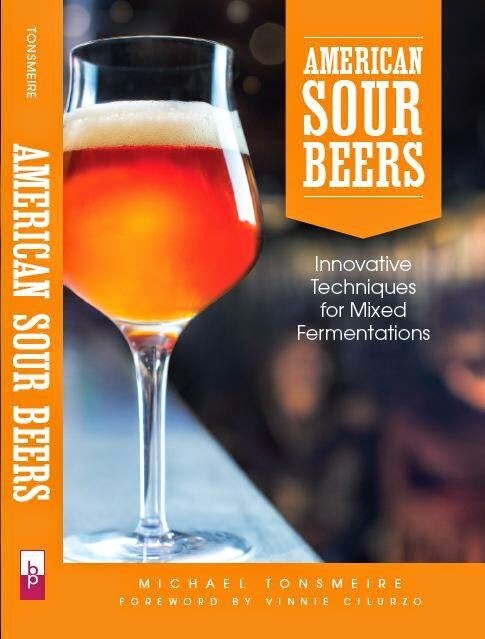 A general question... Do you have to add yeast before bottle conditioning in beers that have been sitting in the secondary for several months? What about a beer that has been cold conditioned for about two months? For a sour beer under a year old you don't need to, but a fresh pitch of healthy cells will always speed things along. 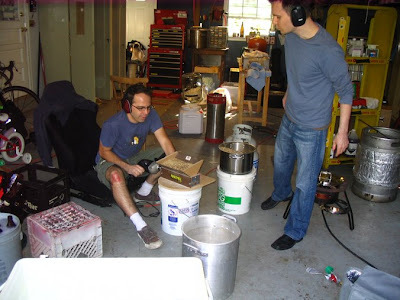 I tend to use wine yeast since they are cheap and acid/alcohol tolerant. 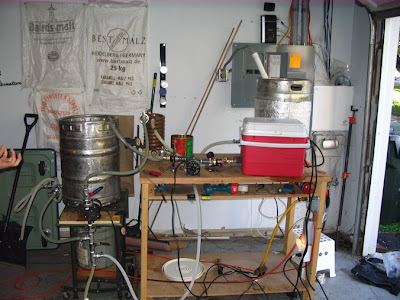 Same goes for cold conditioned beers, better safe than sorry. 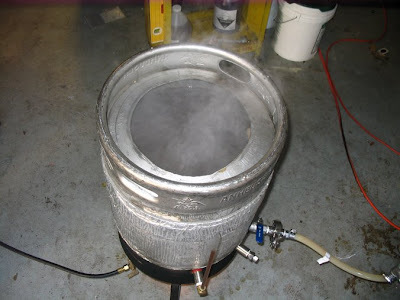 For clean beers using the same strain as primary is a good idea, avoid using a more attenuative strain, or one with low flocculation (unless you are brewing something like a hefe that you want to be cloudy). I actually just got done brewing this but did a variation based on what you have done with some of the other dark Saison's. I left out the Rosemary and added fresh zest from Halo oranges during the last 5 min of the boil and I also boiled about 1lb of dates and raisins until they were reduced halfway, pureed that and added it to the boil. I also added about 7oz of Buckwheat honey at flameout. Once it was chilled I pitched a culture of ECY Farmhouse Brett...will be interesting to see how the Brett kicks up the flavor in addition to the saison yeast blend it contained! Sounds delicious, you'll have to let me know how it turns out!